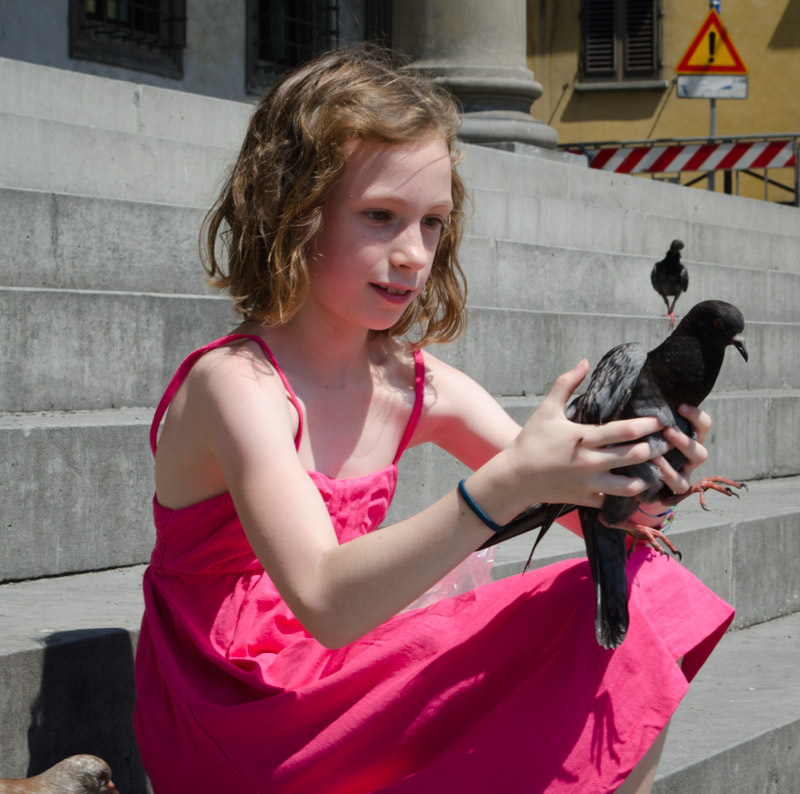 Today you will learn about the birds of Florence and how I met them. 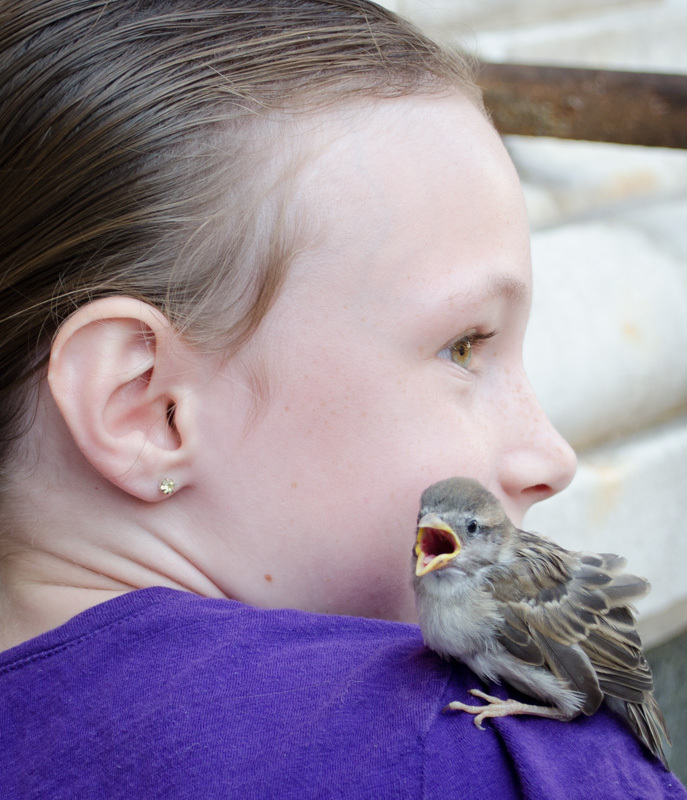 As I was waiting in line for the Duomo, I saw a cute little bird. The little bird was injured. At first I so badly wanted the railing separating us to be gone, so I could just pick him up. I looked at him again and he was limping around. I held out my hand thinking he would limp away. Wrong! He started limping towards me. When he was close enough I gently picked him up. He was very soft. He could fly about 5 inches. All of a sudden he flew on my shoulder and stayed there. That was the friendliest bird I ever met. He had his beak open. I named him Chirp. It took a little while to get him off my shoulder when it was time to go in the Duomo, because his claws were stuck on my shoulder. You know the story about when I was talking about Chirp? Well since I was telling you about Chirp, do you want to know some facts about him? What do house sparrows look like? They are little birds with short legs. They come in many shades of brown and black sometimes they have some white on them. They can carry heavy pieces of bread when it comes to food. I realized that when they have their beaks open that means they want food. They got their names because they like to hang around where people settle. Wild house sparrows live to be several years old, but one of them lived to be 13 years and 4 months old. When a house sparrow is flying they never ever glide, all they do is flap their wings. When they are walking they do a hopping movement. House sparrows can be very aggressive when defending their nest. Males will fight males and females will fight females. You will find house sparrows mostly in cities. House sparrows came from the Middle East and you can find them all over the world, except Antarctica. Their eggs takes about 10 to 14 day for the babies to hatch. Now you know all about CUTE HOUSE SPARROWS! 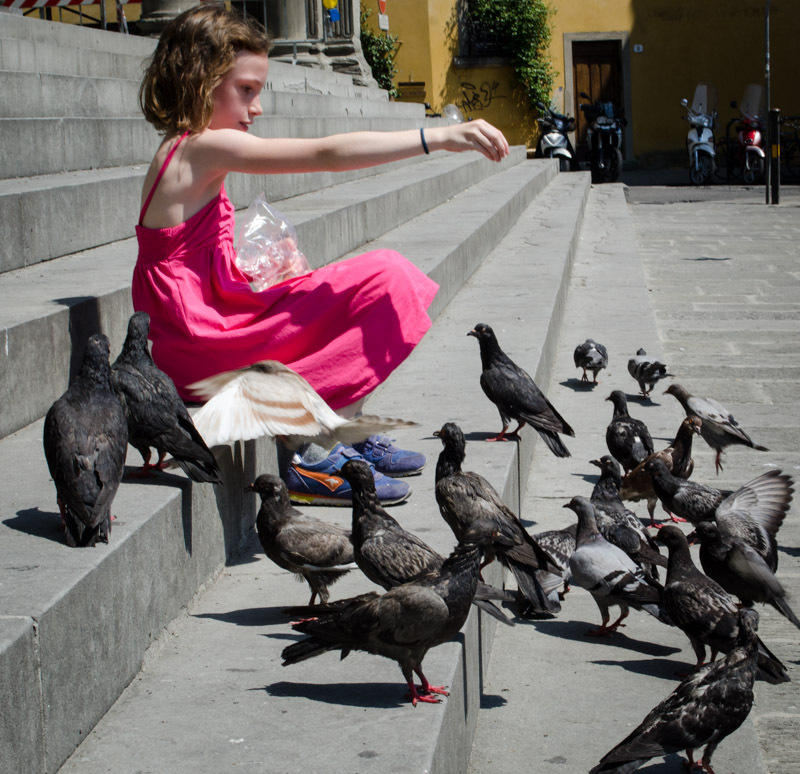 I found the perfect place for feeding pigeons in Florence. Sorry, but I am not going to tell you the perfect place because it is a secret. I just put a piece of bread on my knee and pigeons would land all over my body. A lot of times I will put a piece of bread on my foot and the pigeons will land on my foot. I will then catch them and then release them. It is a weird feeling having something peck at your foot. A few of them I named. Their names are Slow Poke, Knight, and Blacky. Sometimes I will put the ones I catch on my lap and pet them. It is kind of weird having a pigeon eat out of your hand. It does not hurt but it has a soft pecking feeling to it. Pigeons are very soft. It feels like catching a pigeon is the best thing that happened to me. I am sure they are always craving food. I realized a lot of the pigeons that are hurt go to touristy areas or the park because there are rarely any cars. They get free food and plus there are lots of shady places and places to hide. If I was a pigeon I would go to the Duomo, because there would be other birds and lots of food. I would have a blast and have a lifetime of food. Pigeons have been around for several million years. They started in Asia. Pigeons fly in flocks of 20 to 30. They fly in flocks to protect themselves. You might think pigeons are dumb but they are actually pretty smart. Pigeons have better hearing then people. So that is why they will fly away for what appears to be no reason or fly away when you try to sneak up on them with out them seeing you. Pigeons see in color and ultra violet light. Pigeons are sometimes used to carry messages and they will come right back to you. Pigeons can easily find there way back to home. 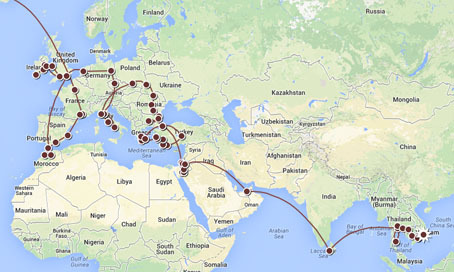 In one day a pigeon can fly 600 miles. Pigeons have been used to help tract down people who got lost. I met a “dove” and his name is Lovey Dovey. I do not know if Lovey Dovey is a dove or a pigeon, but I think he is a dove! I was just feeding the pigeons in my secret place and I saw this brown bird. Daddy said that he thought they look like doves. I always thought they were young pigeons, who had not turned gray yet. I was just feeding Lovey Dovey when I had an idea. I put a piece of bread behind my shoe and as usual all the pigeons, doves, and house sparrows came at it but Lovey Dovey was the closest to the piece of bread and got there first. As slowly as I could not to scare any birds I gently grabbed him. He was very, very soft. I petted him a few times and then did the right thing and let him go. I am hoping that I can give him some more food sometime soon, because I miss him. 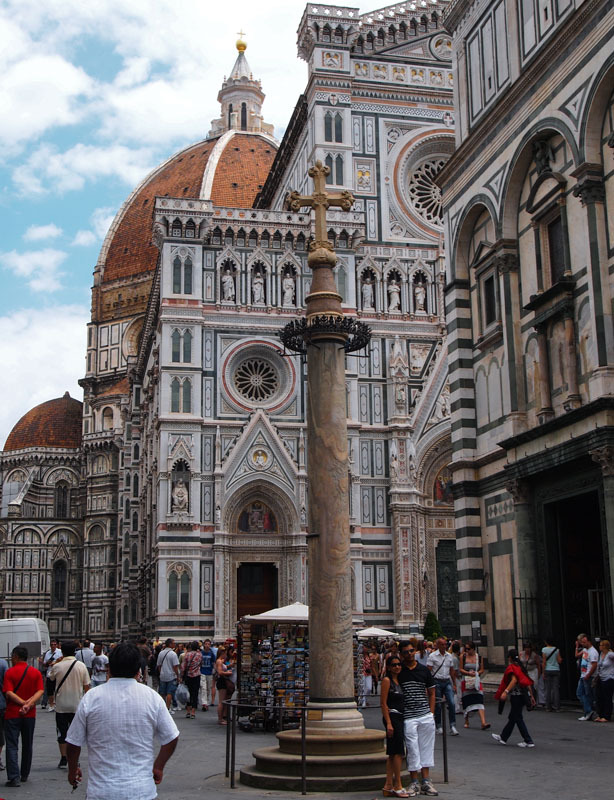 Now you know all about the birds of Florence.